I used to use a rss reader to follow my blogs when I wasn’t at my computer and had a wifi connection for my iTouch. It didn’t work the greatest for me. Anytime I followed a link to an mp3 that I wanted to hear, it opened another window and I was taken away from the article/page. Recently, I found a solution for this and a great app for watching your favorite music blogs. 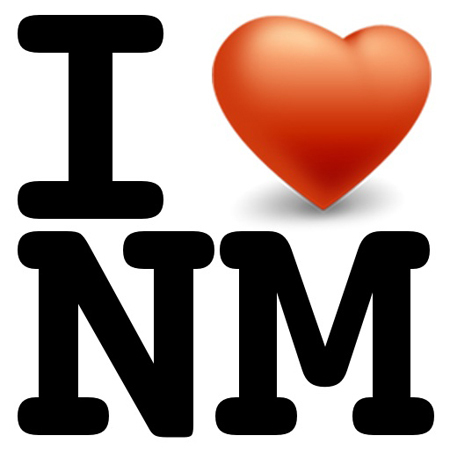 Its called I Heart New Music (not to be confused with Matt’s Blog). I’d basically describe it as a browser with similar built in functions that Songbird has. You can surf to you favorite blog and read all the articles. Then, by pressing the ‘Tunes’ tab at the bottom, the application strips out all the html/php/etc and lists all the mp3 files that contained in that webpage. Conceivably, one could quickly listen to all the songs on a blog, then go back and read about the artists that sounded good to them. The app comes built in with tons of bookmarks to the hottest music blogs out there, broken down by genre when possible. 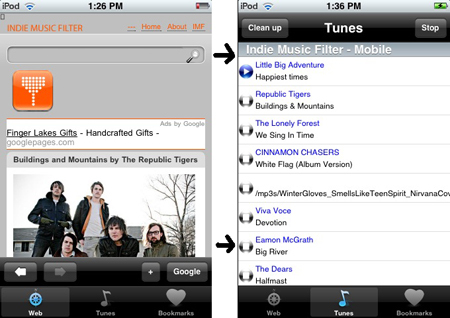 We’re liking it a lot and excited to know that Indie Music Filter – Mobile will make it into the next version of the application. If you have a minute, check out the demo video here.